Congratulations to 2017 Dream Summer fellow, Adriana Aguirre, for being hired at her fellowship placement, the Texas AFL-CIO. 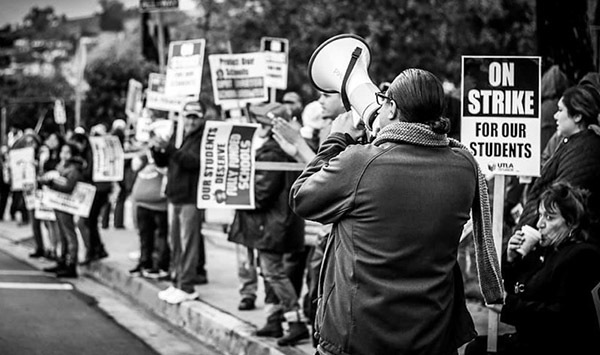 Aguirre participated in the labor cohort this year in her new role, she will continue to address the intersectionality of immigrant and worker rights. 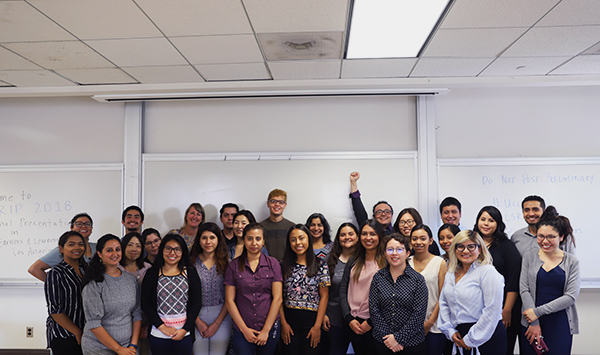 Adriana Aguirre shares a little bit of what she’ll be doing with the union and provides advice for future fellows. What will you doing at the AFL-CIO? I work in the Campaigns Department supporting electoral public policy and mobilization campaigns. These campaigns are created and implemented by the Texas AFL-CIO in partnership with affiliate unions and regional bodies. The work includes producing candidate endorsement guides, assist with candidate screenings for endorsement process and the statewide political and mobilization planning. Additionally, I work in partnership with community organizations and local elected officials in support of a campaign to increase access to earned, paid sick-days across cities. This work includes research and policy analysis. What do you look forward to in your new position? 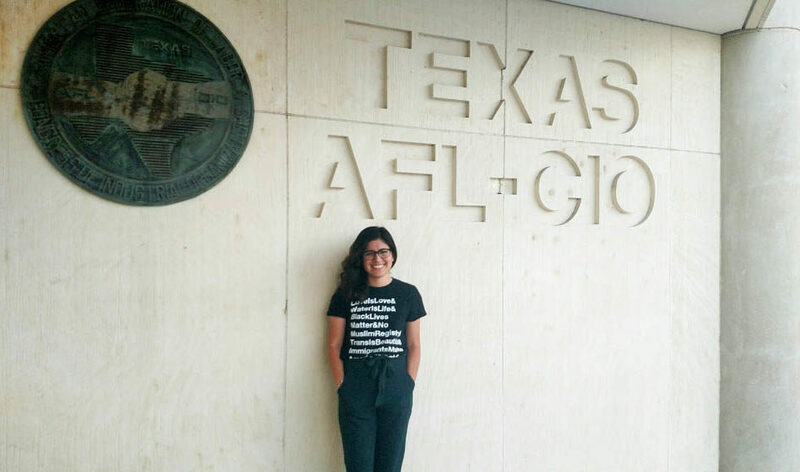 For too long undocumented workers have been excluded from the Texas labor movement, and as the first undocumented person the Texas AFL-CIO hires, I am looking forward to advancing the voice of underrepresented workers in Texas. How did Dream Summer prepared you to take on this new role? Being a Dream Summer fellow allowed me to meet and work alongside people from all different backgrounds, and this prepared me because it exposed to me a diverse set of people, ideas, skills, and frameworks with which to analyze- and advance- organizing and policies. Moreover, it gave me the confidence to use my voice to fight for my community and all other marginalized communities through organizing and policy-making. What advice would give to future fellows? Each placement is unique, but new fellows should always remember why they applied in the first place, and keep this in mind when there are opportunities to step out of their comfort zones to learn more, challenge ideas, and change the narrative. We should remember that being undocumented and unafraid also extends to our work in our placements. So go out there and step out of your comfort zone.